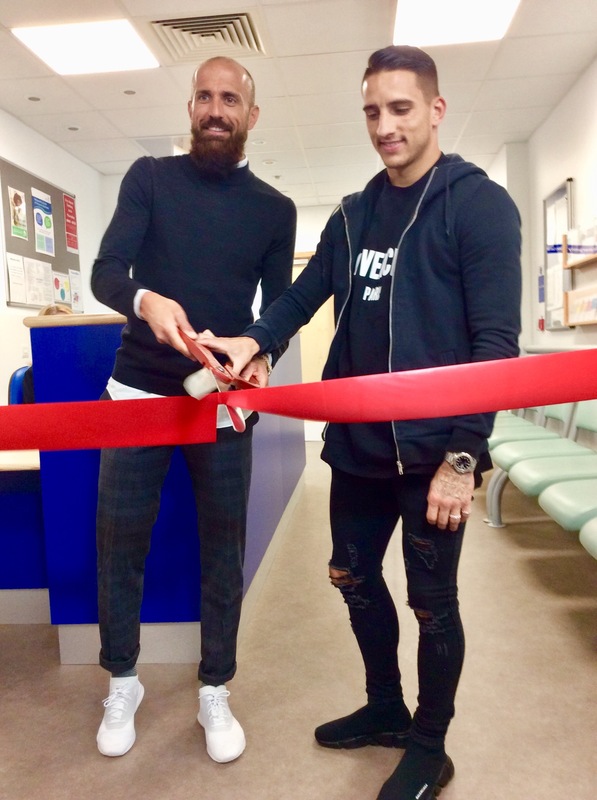 Two Brighton and Hove Albion footballers opened a new emergency unit at the Royal Sussex County Hospital yesterday afternoon (Tuesday 27 March). 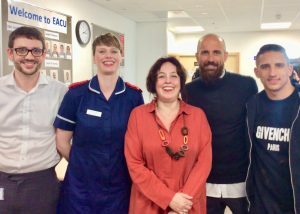 Bruno Saltor and Anthony Knockaert opened the new Emergency Ambulatory Care Unit (EACU) at the Royal Sussex and met staff and patients. The players joined hospital trust chief executive Marianne Griffiths to cut the ribbon on the new unit and mark its official opening. This new combined ambulatory unit is part of the A&E (Accident and Emergency) Department, creating space for 70 patients to be treated. It is one of the first in the country where medical and surgical teams work alongside each other to treat emergency patients who do not need to stay in overnight. This allows those patients to move more quickly from initial triage to receiving treatment and frees up space in A&E and on other wards for patients who are more seriously unwell. Marianne Griffiths said: “We want our patients to get the best possible treatment. “In opening the Emergency Ambulatory Care Unit today we are supporting the efforts of our staff and the care of our patients with significant improvements to the A&E environment. “This light and spacious unit increases the overall capacity within A&E. “It allows us to develop new, better treatment pathways for many patients and makes it easier to deliver seamless care across the department. Steve Barden, lead consultant for the EACU, said: “This combined unit will make a real difference to patients and staff. “It allows us to transfer the care of patients between medical and surgical teams as seamlessly as possible, which improves patients’ experience. 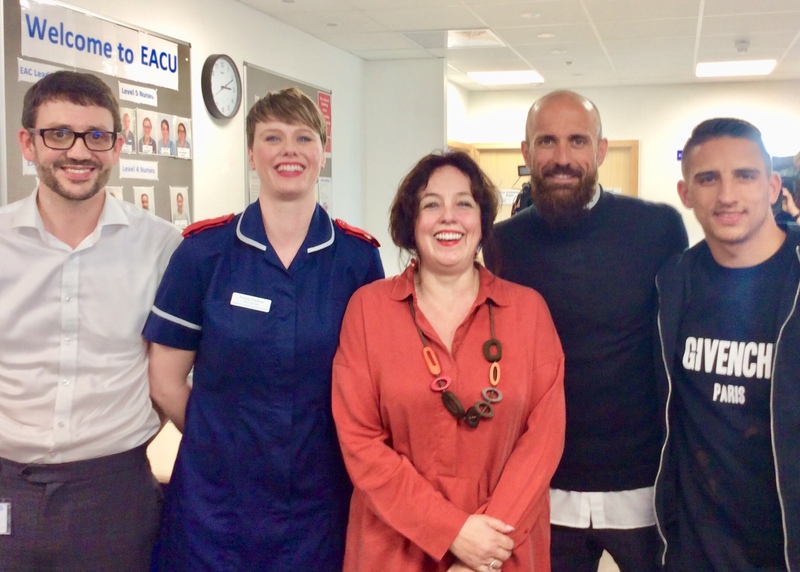 “We can offer treatments to patients on a day case basis who previously would have been admitted, even though they didn’t require 24-hour hospital care. The Emergency Ambulatory Care unit has nine treatment rooms, six treatment spaces, three procedure rooms, two side rooms and an IV (intravenous) therapy area that can accommodate 14 patients. 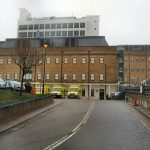 It is the first phase in a broader programme of improvements to A&E at the Royal Sussex which started last year. 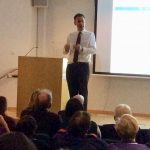 The £30 million programme will include reconfiguring and expanding other key areas in A&E in three phases, creating space overall for an extra 105 patients. It means extra doctors and nurses too, with bosses at the hospital aiming to complete the project by the end of next year. Part of the reason it will take so long is that the area is being reconfigured without closing the busy existing facilities and all while the major wider modernisation project is under way.